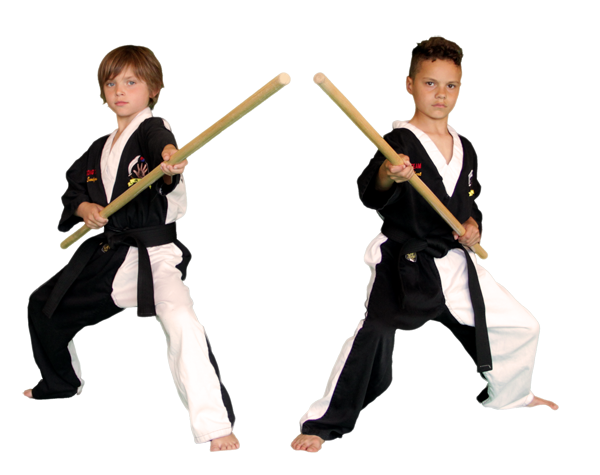 Looking for a new activity for your child but tired of all the generic sports and activities? 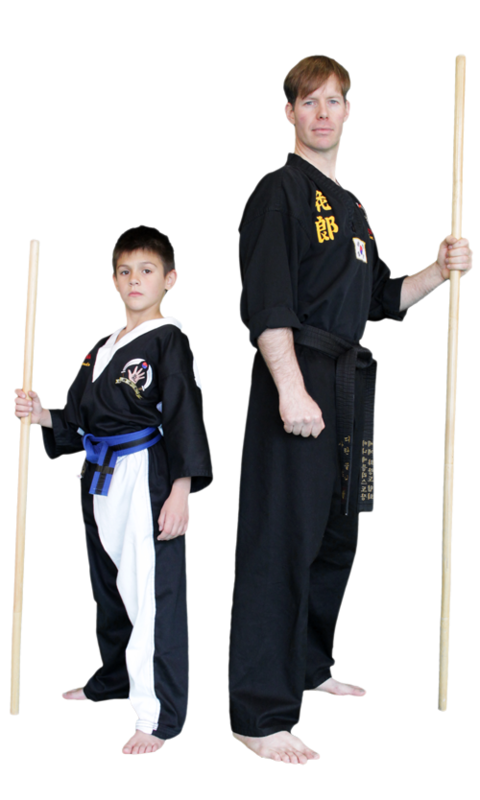 Encourage Your Child to Try Something Totally Different That’s Guaranteed to Teach Focus, Honor, and Respect All In A Fun-Packed Environment! When I was a kid, my parents sent me to learn martial arts from a self proclaimed “YMCA Karate Master” who pretended to teach me how to kick and punch. It wasn’t very fun and I felt like it was a waste of time. 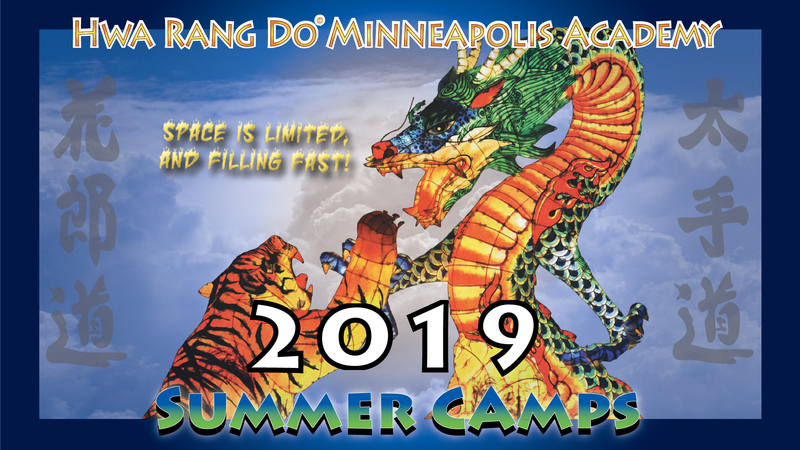 Knowing what I know now and having seen the wonderful boys and girls who train here at the dojang, I wish I had a Hwa Rang Do Academy to train at when I was a kid. 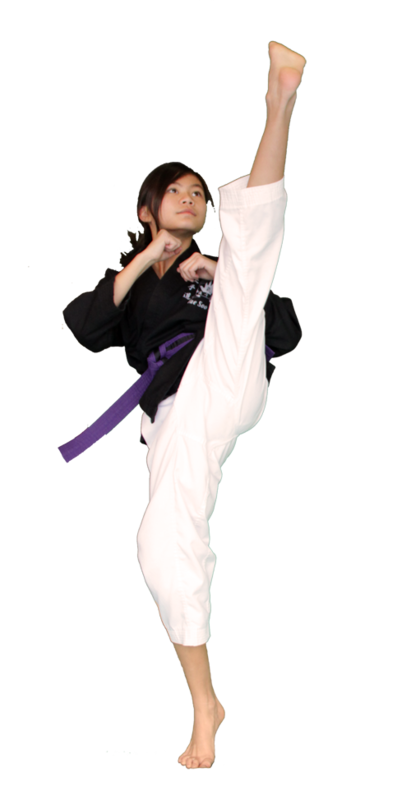 Our very own Instructor Sirny is hands-down the ultimate motivator of excellence and confidence, as well as one who can instill a sense of responsibility and respect in children, teenagers and young adults! It’s the best of both worlds. TLK Afterschool Kids -> Must Come With Buddy to one of the above listed times for your rank. 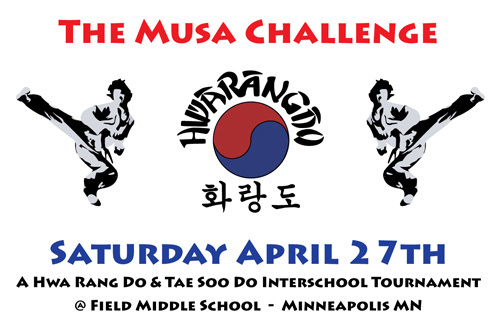 No doubt someone thinks very highly of you and for having invited you to come check out a Tae Soo Do/Hwa Rang Do® class. Under our 2000 year old tradition, it’s a great honor to be invited to train in our powerful yet beautiful art. Congratulations! Why Have You and Your Child Been Invited? Buddy week is time where the Hwa Rang Do Academy opens its doors to the general public to get a “sneak-peek” on what exactly goes on in class. Students of all ages at the academy are encouraged to bring in friends, families, co-workers, etc. to share this experience. It is a special opportunity for them to share with you and your child an integral part of his / her life and also a chance for you to witness first-hand the type of training and development that is available to your child. You will get the opportunity to meet Chief Instructor Dylan Sirny, a regional martial art leader and a mentor to us all at our school as well as others on our great Instructor Team! 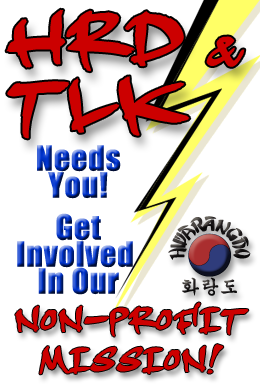 Together, we have mentored hundreds of kids, some of whom have started since before they were in kindergarten and have now blossomed into responsible and respectful scholars, professionals, and even Hwarang instructors. You will also get a chance to meet some of our students, which consist of people from all walks of life including doctors, attorneys, chefs, engineers, professors, construction workers, educational specialists, technology professionals among many others. And perhaps most importantly for you and your child, you will get to witness just how studious, focused, respectful, and well-behaved junior and teenage students are at the academy — all while having a blast! What is Tae Soo Do® and Hwa Rang Do®? Hwa Rang Do® is the most comprehensive system of self-defense and combative techniques in the World. This system has been developed in accordance to the ancient principles of Um-Yang, which emphasizes balance in life and harmony with others and nature. 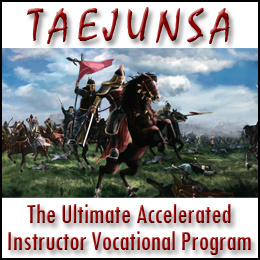 Mastery of a very comprehensive system of self-defense techniques – striking, joint manipulation, joint locks, takedowns, grappling, aerial attacks, weaponry and much more. Physical fitness and weight loss as a byproduct of training. Improved strength, balance, coordination and muscle memory to improve over quality of life. Personal development and growth through training, meditation and strong mentorship. 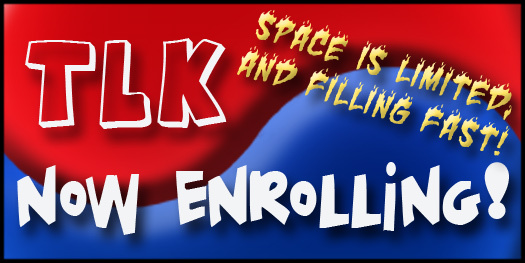 With full membership – FREE Gumtoogi (sword fighting), Acrobop (tumbling & gymnastics), and additional Sparring and Grappling Classes. New friends and quality people to network or have fun with. Special children’s classes available to aid in all aspects of child development. 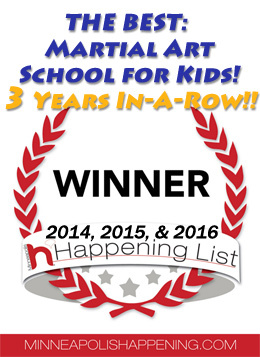 We don’t aspire to be or even compete with generic Mixed Martial Arts schools that are out there today. We do not care for teaching your child to become a bully or be a part of a ego driven sport competition. We do care for each of our students and the individual journey that takes place for them. What one can do physically is only the beginning. We as students work hard everyday to build character, integrity, discipline, loyalty, along with mental and physical strength and well-being. And if you have seen any of the dozens of Hwa Rang Do® Videos online, it becomes obvious that what we strive for is to be extraordinary. And we will strive to make you kid exactly that – extraordinary. So what are you waiting for? Come Try Us Out and Learn Something of Real Value! 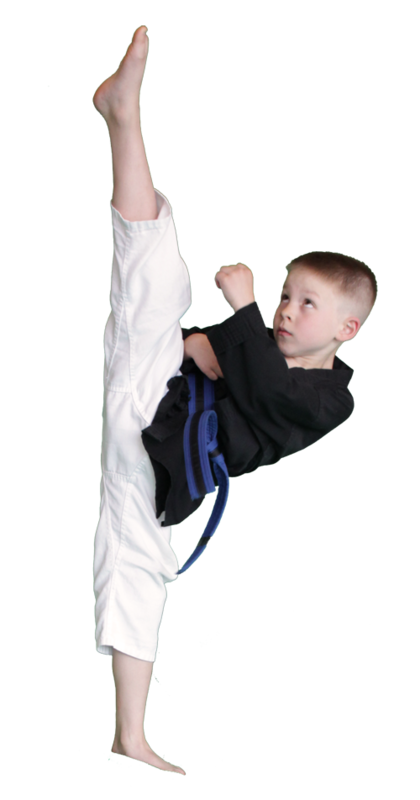 We guarantee that this FREE Class will not only be a fun and rewarding experience for your child, it will also be an eye-opener for you as the parent as to what’s possible for your child in a positive, traditional based martial art program. FREE Classes available May 22 – 26! Come to Class with your Friends! Although we have not stopped by the dojang for awhile, I am moved by my son’s recent trip home from college for the winter break to write you a note. There’s nothing like a son’s departure from the nest to prompt reflections on how he became the person he has become. In our case, my husband and I were tremendously fortunate to have stumbled upon you and Hwa Rang Do when both of our children were very young. In my work as a criminal prosecutor and my husband’s work for over three decades as a police officer, we are constantly reminded of the importance to instill in our children a strong moral foundation, impeccable values, and a solid sense of self and duty to others. Your help in Drew and Michelle’s formative years will always be a huge part of their beings. Not only were you there for them as children, you were (as you’ll recall!) there for me as their mother. For this, I will never be able to thank you enough. So who have we become in the years since we completed our sojourn with you? (I hesitate to say “completed” because we always have dreams of coming back!) Drew and Michelle, as teenagers, are more grounded, well-adjusted, and confident in the loving people they are than most adults…by far. When Drew was home for Christmas, he had some rather bad New York air/teenager acne problems. I told him I was sorry that I hadn’t gotten him to a dermatologist earlier in his life, as I should have. His immediate response was “Mom, it’s ok. I really don’t mind; it gives me character! I want people to respond to me because of who I am, not what’s on my face.” And then he allowed me to hug him. He, to this day, treasures his time with you and all that you gave him in your almost daily life lessons. He is most proud, in all of his many accomplishments, to have had you as his teacher. He remains a star athlete with his Hwa Rang Do base, he is my peaceful warrior, and I get teary just thinking about the wonderful person he has become. Thank you for your role in that. Michelle will one day change the world, or at least she will die trying. She too speaks of you often, even though she was not as involved in Hwa Rang Do as her big brother was. She loved your hugs and the passion you so clearly live with. She felt always your concern and caring for your students. She now lives a passionate life based on helping and caring for others. She listened and looked up to you as a father, even though she had and has a wonderful relationship with her own father. She is my quiet but very present warrior, and I get teary just thinking about the wonderful person she has become. Thank you for your role in that. And then there’s me. I doubt that I was your first (or last) uncoordinated warrior but I was, at the very least, wanting to be there every step of the way. Our time together boosted me to levels, psychologically and physically, that I otherwise would never have gotten to. Remember when I climbed Mt. Whitney while I was your student? I’m glad I did, but I must say that the pride I was given in my accomplishments with you rises as high as any mountain that could challenge me. I am my family’s stumbling warrior, and I know that, even though they probably don’t get teary, they are proud of who I have become. The time that we all spent together with you was simply pivotal in our lives. The reason I love Tae Soo Do and Hwa Rang Do is because it’s a really awesome way to meet new friends! It helps me be a leader when needed and a follower when wanted. Yeah sure sometimes it’s hard, but that just makes the feeling more intense when you get the move down. I always know where to turn if I need to talk about something because everyone is like a great big family here. Hwa Rang Do helped me to become a strong and driven person both mentally and physically and that’s the reason I love Hwa Rang Do! I feel like Tae Soo Do has affected me in a big way. First of all, in the past I had a hard time when my friends were goofing off and things would usually get carried away and I would end up getting in trouble. I think Tae Soo Do has helped me get better at controlling myself. I also think I used to be more shy, before I started doing martial arts. Now I feel more outgoing. Tae Soo Do makes me feel good about myself and I have a good time and I think I wouldn’t be myself if I didn’t do it. I like Tae Soo Do because it helps me focus. It develops my muscles and makes me strong. I have a lot of fun trying my hardest and making new friends. I learn from my mistakes so that I can do better on my tests. I couldn’t have done it without Instructor Sirny!